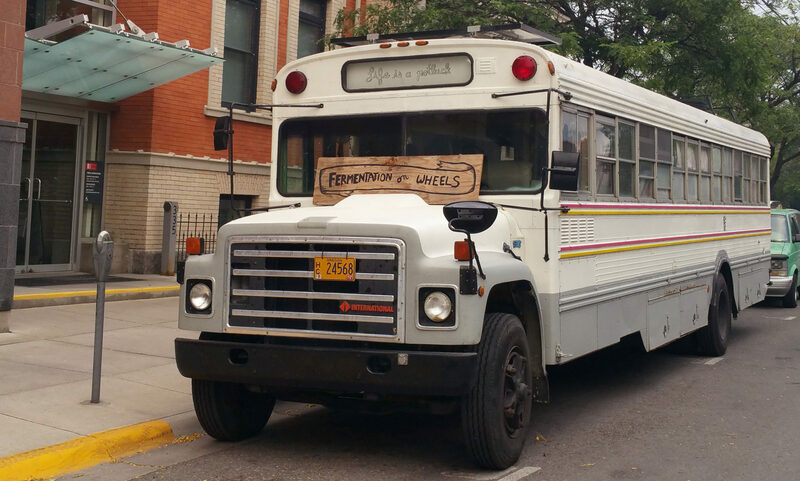 Fermentation on Wheels: Destination Austin, TX! Join Tara and her bus-turned-fermentation lab, library, and workshop space in East Austin out front of HausBar Urban Farm and GuestHaus on April 21st. She will open her bus for tours, share tastes of her creations, and offer one-on-one tips and advice on fermentation and the delicious foods it creates. Fermented foods heal our bodies, celebrate age-old traditions, and promote healthy people and planet. Interested beginners and advanced fermenters alike are welcome to hop on the bus and join the conversation!